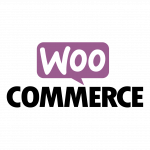 Woo Commerce plugins are add-ons for Wordpress websites using Woo Commerce. We offer major discounts on all Woo Themes plugins and great prices on other powerful plugins. All plugins purchased come with 1 year of updates and support. If there is a WooThemes plugin you want that you don’t see listed here, just contact usand we can provide it at awesome discounts.